We have been chosen as the Ontario Flagship Event. 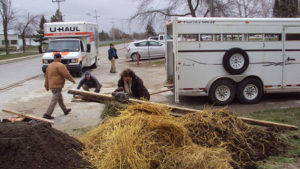 This means that EVERY time #GardenDaysCanada is mentioned in the media in Ontario, our event will be highlighted. There will be a ribbon cutting ceremony at Durham St at 2:30 pm. 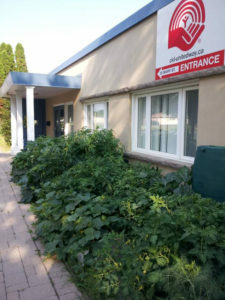 The UWCKL locations will be handing out lemonade and a snack, the Fleming location is going to make some tea from their herb garden for people to sample and provide tours. We invite you to visit all or one of our sites: 50 Mary St. W, or Durham St. E at Duke St. If your school or agency has one of the United Way Garden Kits, bring pictures and share you garden updates. Your staff and clients/students are all welcome. Let’s celebrate Garden Days Canada together. “Lemonade in the Garden “Join in a celebration of our local Community Gardens. 3 Lindsay locations to choose from or visit each garden. 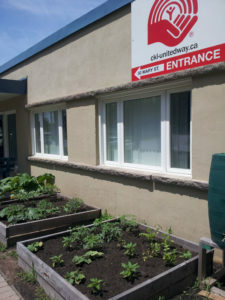 The United Way for the City of Kawartha Lakes is celebrating Lindsay’s newest Community Garden at Durham St. E/Duke St. Ribbon cutting at 2:30pm. Lemonade and snacks will be available. 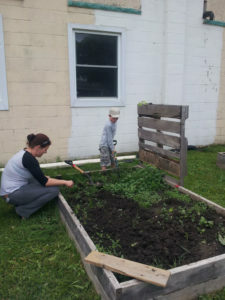 Visit the original United Way CKL Community Garden at 50 Mary St. W. for lemonade, snacks and companionship. The Fleming Community Garden will be providing garden tours and sampling teas made from their herb garden.